Dr. Marco Di Renzo was born in L’Aquila, Italy, in 1978. He has held various research and academic positions in Italy at the University of L’Aquila, in the USA at Virginia Tech, in Spain at CTTC, and in the UK at The University of Edinburgh. 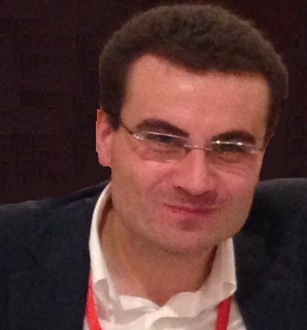 Since 2010, he has been a CNRS Associate Professor (“Chargé de Recherche Titulaire CNRS”) in the Laboratory of Signals and Systems of Paris-Saclay University – CNRS, CentraleSupélec, Univ Paris Sud, France. He is a Distinguished Visiting Fellow of the Royal Academy of Engineering, UK. He is a co-founder of the university spin-off company WEST Aquila s.r.l., Italy. 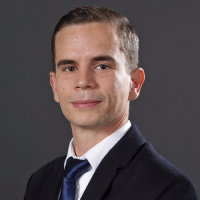 He is the Project Coordinator of the European-funded projects 5G- WIRELESS and 5G-AURA and a Principal Investigator of the European-funded projects GREENET, CROSSFIRE, WSN4QoL, SmartNRG, CASPER and of the French National Agency funded project SpatialModulation. Dr. Di Renzo is the recipient of a special mention for the outstanding five-year (1997-2003) academic career, University of L’Aquila, Italy; the THALES Communications fellowship (2003-2006), University of L’Aquila, Italy; the 2004 Best Spin-Off Company Award, Abruzzo Province, Italy; the 2008 Torres Quevedo Award, Ministry of Science and Innovation, Spain; the “Dérogation pour l’Encadrement de Thèse” (2010), University of Paris-Sud, France; the 2012 IEEE CAMAD Best Paper Award; the 2012 IEEE WIRELESS COMMUNICATIONS LETTERS Exemplary Reviewer Certificate; the 2013 IEEE VTC-Fall Best Student Paper Award; the 2013 Network of Excellence NEWCOM# Best Paper Award; the 2013 IEEE TRANSACTIONS ON VEHICULAR TECHNOLOGY Top Reviewer Award; the 2013 IEEE- COMSOC Best Young Researcher Award for Europe, Middle East and Africa (EMEA Region); the 2014 Royal Academy of Engineering Distinguished Visiting Fellowship, United Kingdom; the 2014 IEEE ATC Best Paper Award; the 2014 IEEE CAMAD Best Demo Award; the 2014 IEEE CAMAD Best Paper Award; the 2014 IEEE WIRELESS COMMUNICATIONS LETTERS Exemplary Reviewer Certificate, the 2015 IEEE ComManTel Best Paper Award; the 2015 IEEE Jack Neubauer Memorial Award; and the 2015-2018 CNRS Award for Excellence in Research and in Advising Doctoral Students. Currently, he serves as an Editor of the IEEE COMMUNICATIONS LETTERS and of the IEEE TRANSACTIONS ON COMMUNICATIONS (Heterogeneous Networks Modeling and Analysis). He is a Senior Member of the IEEE, a Member of the IEEE Communications Society and of the IEEE Vehicular Technology Society, and a Member of the European Association for Communications and Networking (EURACON). Since 2016, he has been a Distinguished Lecturer of the IEEE Vehicular Technology Society. Dr. Marco Di Renzo is a frequent tutorial speaker and lecturer at IEEE international conferences. During the last three years, he has presented 12 tutorials on “Spatial Modulation for MIMO Systems”, 7 tutorials on “Energy-Efficient Wireless Networks”, 8 tutorials on “Stochastic Geometry Modeling and Analysis of Wireless Networks”, and 6 tutorials on “Energy-Neutral Wireless Networks Design”. In addition, he was Invited Lecturer, Invited Speaker and Invited Panelist at several IEEE events and Ph.D. schools. Boris Lambert is the new European Project Manager of the two European-funded projects: 5G-Wireless and 5G-AuRA. He replaced Lucie Romelot from August 2017. He works within the Laboratory of Signals and Systems of Paris-Saclay University - CNRS, CentraleSupélec, France. Boris Lambert was born and raised in Toulouse, where he started his higher education with a bachelor in “Economic and Social Administration”. As Erasmus student in Oslo (Norway), he had a 1st year of a master's degree in Economics. Then, he obtained two master’s degrees: a master degree in “International Cooperation and NGO” at Paris XIII University and, in 2011, a master degree in European Politics and Public Affairs at Sciences Po Strasbourg. He also recently passed an online Certification on “EU Project Management”. Boris held different job positions in European affairs and politics. He started his career as Policy Advisor on Employment and Social Affairs for a political group in the European Parliament, then became EU Policy Advisor for the European Society of Cardiology. Finally, he worked two years as Policy Advisor on Economic Development and European Affairs for a political group in the Paris Regional Council. Alongside his studies and previous jobs, he was involved in different activities. He was an Official Football Referee for almost 10 years, between 2001 and 2010. And, as an amateur football player, he is still playing every week-end. Lucie Romelot started her higher education in Tours, and obtained in 2014 a licence degree in Foreign Applied Languages (English-Spanish), with a specialisation in Interpreting (French-English-Spanish). This 3-years diploma was coupled with an Erasmus semester in Portsmouth, United-Kingdom. She obtained her master degree in 2016 in Foreign Applied Languages, with a specialisation in European Development, from the University of Besançon, France. She did her first year internship in Lima, Peru, working for the “VIDA” NGO (Protection of the environment) as a translator and community-manager. 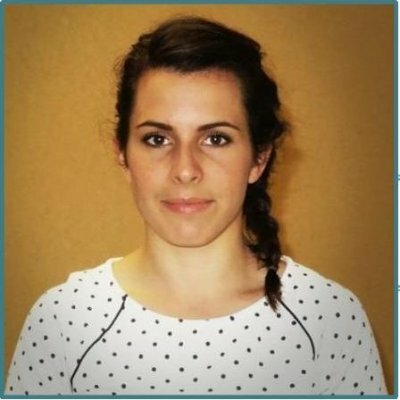 After a final year internship in the Mutualised Research and European Funds Department at the CNRS in Orleans, France, she was the Project Manager of two European-funded projects, 5G-wireless and 5G-AuRA from August 2016 to May 2017. She worked within the Laboratory of Signals and Systems of Paris-Saclay University – CNRS, CentraleSupélec, France. Managing a group of 20 children as a member of the French Scouts and Rovers during 3 years. Organising activities for Erasmus students arriving in the city of Besançon, France, as a member of the European association Erasmus Students Network, for 1,5 year. Being a member of the worldwide-known organisation AFS –American Field Service since 2010, promoting inter-cultural exchanges, and accompanying the teens and host-families in their experience, and sharing hers as well (one year spent in Peru in 2009-2010).